Our 2 year wedding anniversary was yesterday....mmmmm love. 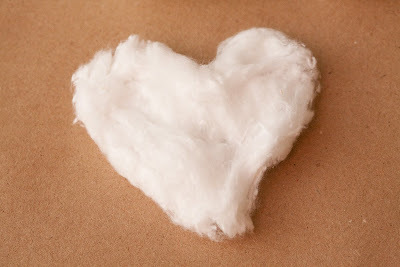 The 2nd year is cotton. Since we are both pretty bad at giving presents on present giving days :) we usually go out to dinner and do funny stuff to celebrate. 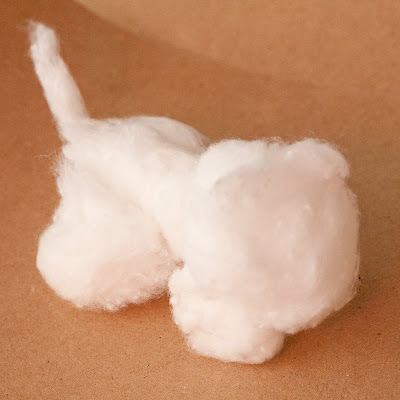 So for our cotton present we each made one another a cotton ball animal. 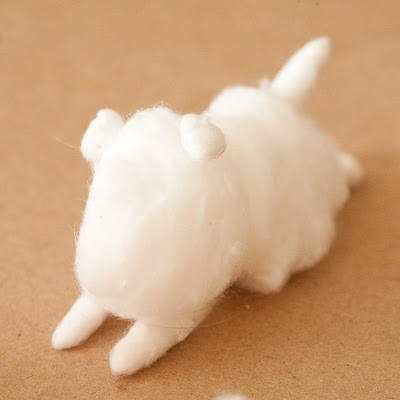 Erin made me a "Gerb-amb" combo of a gerbil and a lamb. 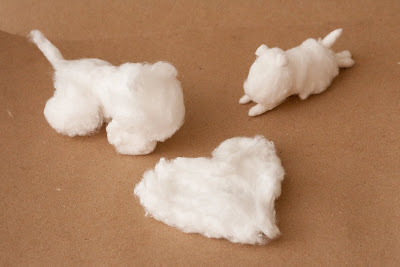 I made Erin a "lyo-errier" a mix between a lyon and a scottish terrier. Both equally filled with love and goodness! Happy anniversary to us! You guys are too creative for words....honestly! Congratulations to you and Erin:) Just came across your blog and love it! I've added this to my blog and of course will give credit (of course). Jennifer & Thomas' summer wedding. Sneak Peek of a lovely and festive wedding.